Sarah is research and technology professional, specializing in researching corporate needs, benchmarking and strategic market analysis. Sarah has over 20 years’ experience in ICT and telecoms research and analysis and has worked for top consultancies including PricewaterhouseCoopers (PwC) and Harris Research. 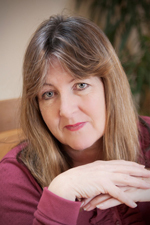 Since 1992 Sarah has worked as a Director of Prodata Partners Ltd and during this time has helped the firm to succeed in bridging the gap between research and strategic consultancy. She has a high level of expertise in project managing the data collection and analysis of business customers, and converting research into tangible strategies for clients. She provides value added research and strategic advice to blue chip companies. Sarah’s technology specialist areas include wide area networks, VoIP, cloud and mobility solutions. Sarah has a BSc from the London School of Economics and an MBA from Cranfield Business School. She completed 3 years of PhD research into IT business segmentation at Cranfield. 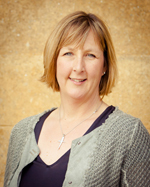 Claire is a senior leader with over 20 years’ experience in global telecommunications & IT. She recently started working with Prodata, having previously spent 10 years at BT Global Services as Head of Global Strategic Insight & Analysis. Previously Claire held senior marketing positions at MCI WorldCom and Cable & Wireless. Her capabilities span complex data-driven analysis to tactical sales & marketing execution and strategy development. She is adept at assimilating large input volumes into clear recommendations for all seniority levels and has innovative and practical experience in translating complex research findings into action plans. Claire has excellent client stakeholder management skills and is a strong written and verbal communicator, with considerable experience in presenting projects at all levels, including Board. Prodata has a team of over 35 international technology Consultants who work in the UK, Europe, USA, South East Asia, and Associate Consultants based in a number of other countries. Our Consultants are specialists in particular technologies and markets, and are allocated to projects on this basis. They are typically ex Senior Managers from global service and manufacturing suppliers such as Alcatel, Verizon, AT&T, BT, and have inside knowledge of solutions as well as important contacts in the industry. They adopted a collaborative approach throughout, offering their considerable expertise to help us maximize benefits from the exercise.